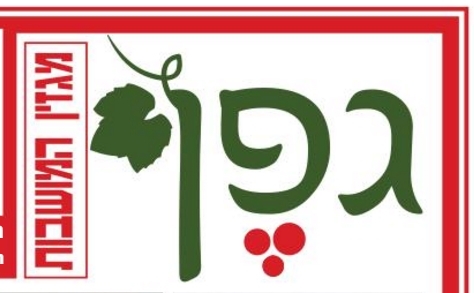 Why Arabic is flowering in Israel even as it’s officially demoted? A New Vision For The Secular Left: How Do We Need To Change Ourselves In Order To Change Reality In Israel? "As Arab Citizens We Feel That Our Security Is Less Important To the State"
Why Are So Few Arabs Interviewed on Israeli TV? While Police Tackle Arab Inciters, Are Jews Given a Free Pass? Is the Israeli Media Responding to Pressure on Under Representation of Arabs? How should we respond to a survey supporting removal of Israeli-Arabs? "The continual increase in the percentage of Arab employees in the Civil Service, from 6.2 percent in 2007 to 9.3 percent in 2014, is worthy of mention, although the target that the government set for itself for 2012 is being achieved after a two-year delay," Attorney Samah Alkhatib-Ayoub, a research coordinator and advocacy specialist in the Equality Policy Department of Sikkuy-the Association for the Advancement of Civic Equality, told Calcalist. Ron Gerlitz: "Yes, the racist extreme right is afraid. They would like the Arabs to go back to being manual laborers"
In the absence of a joint organized effort by the government ministries to deal with the planning barriers and the shortage of public land, the underutilization of the substantial budgets by Arab Local Authorities will continue. "As a result, in Arab towns, 78% of arnona tax revenues are from households, compared to a nationwide average of 34%, according to a study by Injaz Center for Professional Arab Local Governance and Sikkuy – the Association for the Advancement of Civic Equality." "Arabic-speaking residents said the city told them that the services pamphlet wasn’t published in that language. Shutafut-Sharakah, the Organizations for Shared, Democratic and Equal Society, has written City Hall, seeking to correct the matter. " What is it like to be an Arab worker in Israel? Dismissal without a hearing, silencing, trampling of rights – that's what male and female Arab workers are facing in Israeli society in the months following Operation Protective Edge. How can we fight this ugly racism? “Ir Habahadim” (IDF Central Training Facility in the Negev) – "The Jews are dividing things fairly among themselves, and leaving out the Bedouin "
Does equality stand a chance? Arab-Jewish industrial parks: The last chance for economic equality? NIF asks: Is Israeli democracy at risk? Arab social justice needs heard by the gov't-what about J14? Racist legislation is bad for public relations. And what about humaneness?